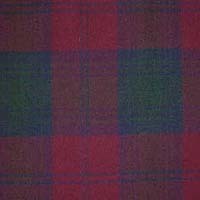 Lindsay Tartan Ribbon is available to buy in 7mm (1/4"), 10mm (3/8"), 16mm (5/8"), 25mm (1") and 38mm (1½") widths on 25 metre (approx 27½ yard) reels and in 5m (5½yd) top-up packs.. 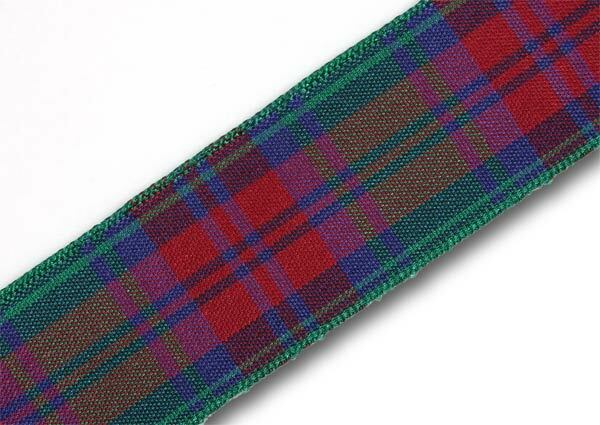 The Lindsay Tartan Ribbon sold by tartan-ribbon.com is top quality, authentic Scottish tartan ribbon as certified by the Scottish Tartans Authority. 5m (5½yd) top-up packs are also available with FREE worldwide shipping, but please note 25m reels are by far the best value. The Lindsay Tartan Ribbon offered here is the popular Modern Lindsay Clan variant, first officially catalogued in 1842, although the origins of the tartan itself are much, much older.